PD Dr. rer. nat. habil. 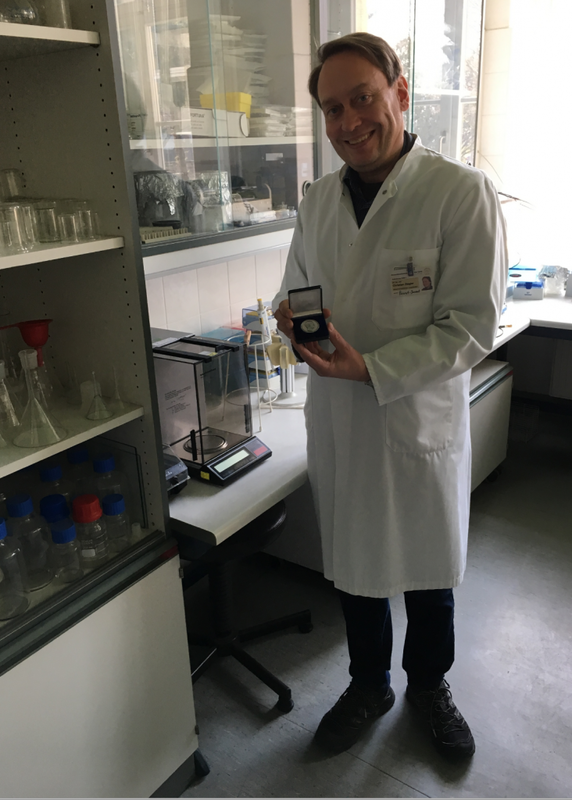 Christian G. Ziegler successfully defended his habilitation within project B10,end of January 2019and received the teaching licence in the subject experimental endocrinology. His thesis is entitled “Novel preclinical models and theranostic strategies for pheochromocytoma”. For thorough understanding of the pathogenesis of metastatic pheochromcoytoma (PHEO) and for comprehensive assessment of new therapeutic options evaluation, it is extremely important to have available animal models for this disease that resemble human PHEO as closely as possible. The thesis of PD Dr. Ziegler therefore deals with the generation of multiple advanced preclinical allograft mouse and spheroid models for these rare chromaffin cell tumors. It also included the development and evaluation of a novel treatment concept for PHEO based on SSTR2 theranostics, including chemotherapeutic- and radionuclide-labelled peptide analogs. These studies could help to find novel treatment options for PHEO, which are still urgently needed and PHEO might also play a role model for the treatment of other so far incurable neuroendocrine tumors. Finally, molecular mechanistic insight from advanced preclinical tumors models, generated by PD Ziegler’s team, might allow a more personalized future treatment concept for this insidious and frequently lethal neoplasm. The hospital of the Ludwig-Maximilians-University (LMU) Munich is the first DGE- certified hormone and metabolism- hospital. Further information coming up soon.